First Pete Bagge rejoins the show for a live Spotlight session at CXC – Cartoon Crossroads Columbus. We talk about Fire!! 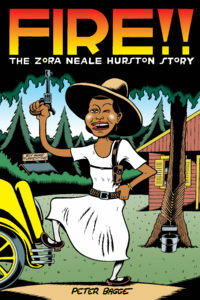 : The Zora Neale Hurston Story , his shift from fiction to nonfiction comics, his interest in feminist icons who didn’t ask for permission, dealing with cultural/gender appropriation issues in writing about women of color, expressing serious moments in his funnybones cartooning style, going through male menopause, making a living, and why he hasn’t made any Buddy Bradley stories in a long time. 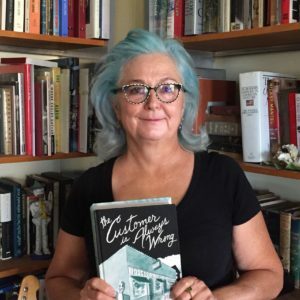 Then, we get a few segments from my CXC spotlight session with Mimi Pond, where we talk about her creative process, sexism in comics, and what she misses about the ’70s. Give it a listen! And go buy Fire!! and The Customer is Always Wrong and The Customer is Always Wrong !